Queen Elizabeth, 91, is the most well-travelled monarch in British history, having visited over 120 countries during her reign. Ever since taking the throne in 1952, she has been to most countries on state visits to encourage good relations with the UK. Whilst there are some she has yet to visit due to personal or political reasons such as Greece and Israel, the seasoned traveller has begun to slow down her trips abroad with her most recent being to Germany in 2015. Being a prolific traveller, this means she has a number of items that she takes with her every time to ensure the journey is smooth. One of those items, whilst slightly old-fashioned, is a hot water bottle. According to historian Robert K. Massie in Vanity Fair article, she always takes one with her when abroad, alongside a feather pillow and china tea set. 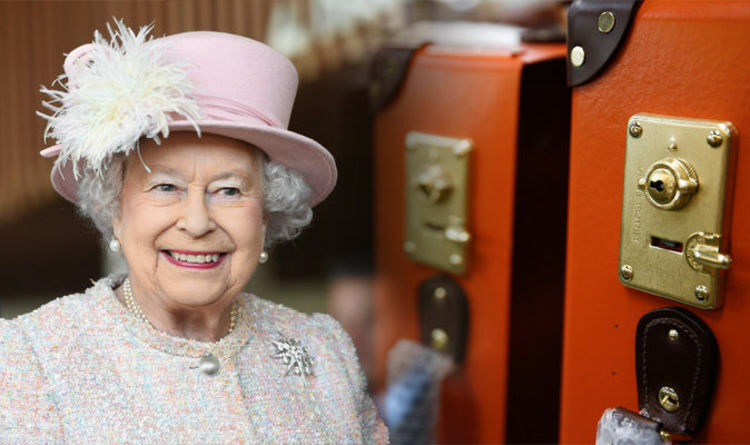 The Queen was once without her hotwater bottle when at Buckingham Palace after a maid forgot to put it into the bed. For the first time, Queen Elizabeth made it for herself, which she related to her found rather hilarious. A place insider revealed: “The Queen was amused to have to do it herself. Despite many people preferring to use central heating of electric blankets, a surge of hot water bottle sales was reported by internet store Studio in December with an increase of 80 per cent, the highest since the 1960s. It is just one of the items that the Queen always makes sure to pack in her Globe-Trotter suitcase, a brand she has used since her honeymoon. The Queen must always travel with a black outfit packed with her in case of a royal death. This must also be followed by other royal families, with Prince William and Kate Middleton also most likely following this rule. Queen Elizabeth didn’t follow the rule when she visited Kenya, only for her father to pass away whilst she was on the trip. A separate black outfit had to be brought onto the plane before she was allowed to depart.